Muv caster assembly. Begin by lining the caster over the hole, then use a finger to turn the caster clockwise a couple of turns just to get us started. Next we'll use our 13mm wrench to screw this in until it's relatively snug. Repeat with the other three casters and viola! 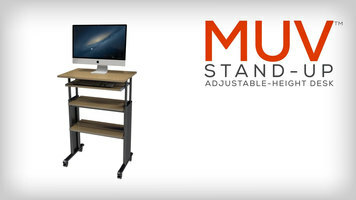 You've got yourself a mobile muv. Thanks to our wide selection of stainless steel and aluminum fry pans, you can sear, saute, and cook just about anything! 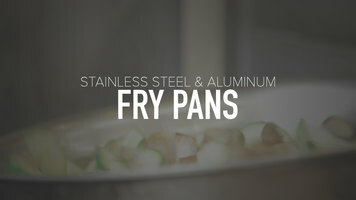 Built to withstand the fast-paced environment of a restaurant kitchen, these fry pans are perfect for your business!